Designer Vincent Chan‘s vehicle concept is one of those ideas that make you wonder why we haven’t been doing things his way all along. 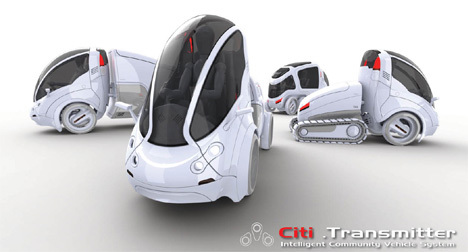 The Citi.Transmitter combines the best parts of tiny urban vehicles and semi tractor trailers. Like a little urban commuter car, the basic part of the Citi.Transmitter vehicle is a tiny two-seat conveyance. And like a semi truck, a variety of back end pieces can easily attach to the “cab” as needed. 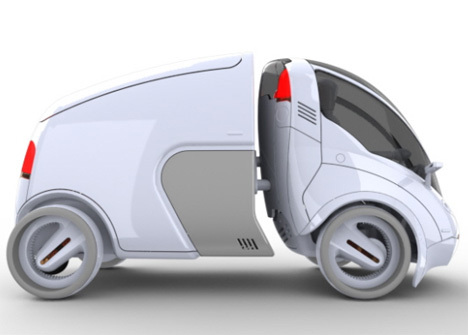 Chan’s concept includes back ends specifically designed for carrying large or small cargo loads or a number of passengers. 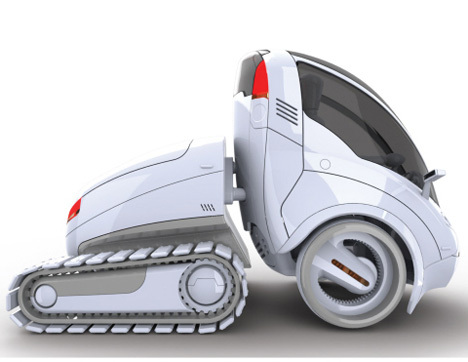 There is even an attachment with tank tracks that makes the vehicle able to travel off-road. The concept makes a crazy amount of sense – a lot more sense than renting or borrowing special types of vehicles when you need to do something that your own car isn’t capable of. 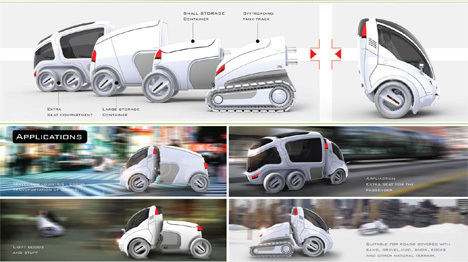 Although it is just a concept and not yet a reality, it is easy to imagine this type of modular car becoming a reality in the near future.